MNSi is a local Windsor based company that has been providing Internet services to Windsor and the surrounding areas since 1995. Our technical support and customer service teams are based right here in Windsor, with no offshore outsourced call centres. We service individuals, school boards, hospitals, financial service providers, automotive dealers, real estate agencies and brokers, educational institutions, professional musicians, government agencies, municipalities, tool and die manufacturers, and variety of small businesses throughout Southwestern Ontario. Image by Ken Lund under CC BY-SA. Modified by MNSi 2016. At MNSi, we believe in corporate responsibility. It stems from the understanding that the economic, social and environmental choices we make as a corporation affect the lives of our shareholders, customers, employees and communities. It also means operating our business ethically and according to the principles of honesty, transparency and accountability. MNSi holds confidence in in the unique and caring individuals who live in the same communities in which we live, work and play. Since 1995, we’ve committed to donations and sponsorships for local organizations and individuals who service and support a variety of community activities and needs here in Windsor. 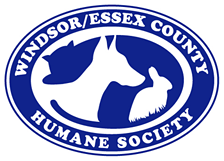 We’re proud to support Windsor/Essex County Humane Society, The Hospice of Windsor and Essex County, Habitat for Humanity Windsor-Essex, Windsor Symphony Orchestra, and Children’s Wish Foundation. Local or regional registered Canadian charities or not-for-profit organizations that believe they fall within our giving guidelines should mail or drop off a request to the MNSi office in Windsor. Income tax receipts must be provided for all corporate donations (monetary or in-kind). Due to the large number of requests, MNSi is unable to guarantee a response to all donation requests. Please note, MNSi will only consider requests formally submitted in writing.